Since I spend so much time customizing Visio shapes and writing code to automate the drawing creation and analysis, I thought it might be fun to do some end-user stuff. So I whipped out Visio’s simple timeline template, which can be found under: File > New > Schedule > Timeline. This template offers a variety of timeline bar shapes, and a set of markers and interval bars to highlight specific dates and date intervals. The markers attach automatically to the timeline bar, and react to date-changes both for the bar and for the markers. You can see that I used Visio 2007’s Themes feature to nicely format the page, and that both specific dates and time intervals are shown. 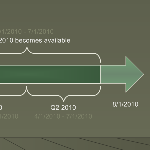 I also used braces on the bottom of the timeline to show quarters for the years 2009 and 2010. This was harder than expected, because I had to enter specific dates for each quarter (ie: 2009.04.01 – 2009.07.01) instead of just selecting a quarter from a list. I put a piece of work together recently using the timeline feature in visio 2003, it was fairly horrid to use to be honest. Things like intervals always being brought to front if you interact the, which especially a pain when you’ve over laid other things like lines to represent things like business proposals due etc. Yeah, I thought it was a bit harder to use than I would have expected, since these are “simple” timelines. Some of the features that keep timelines, markers and intervals together are pretty nice, but I still found myself wrestling with it! I have been looking for an event based timeline stencil set. I have had to format the date field to essentialy hide the date/time info in order to accomplish what I need. When your timeline isn’t really tide to specific dates but you still want ot represent the time spans what can you do? Have you seen such stencils? Do you want to simply resize the timelines, markers, etc. manually? Or do you want to enter “partial data”, like say “2 months”, but then position an interval manually. I find this quandry with Visio quite frequently. Sometimes you want to push and pull shapes around manually, other times you want them to be numerically precise. It would interesting to try and develop something that (elegantly) did both. I am very new to visio and looking for a solution that enables me to selectively display the default data on timeline markers (intervals, milestones etc.). I often need to produce timelines that contain intervals showing both text data as well as those that are simply colour-coded on the same timeline. What would be even better would be a solution that configures a timeline based on an excel spreadsheet dataset. Any info or a point in the right direction would be gratefully received!! Well, I sorted out hiding text. Very simple in the end – I selected the date and description text blocks and sent them to the back. Seems to be a suitable work-around for the moment. Now just need to link a dataset to create a timeline – I think that may be a bit more complex!! I changed the color of the text to the same one as the background. Like Gary Simpson I want to be able to have a table of dates (start/finish) linked to a defined set of shapes / milestones. i don’t mind some hassle setting up the link from Row 10 to shape 10 but I want to then be able to update the table and the shape moves. I’ve just come across the shape sheet (2003) and “feel” like it should be possible to do it but I’m flailing around! To get rid of the date text you right click the dates > Text > then Change your transparency to 100%. 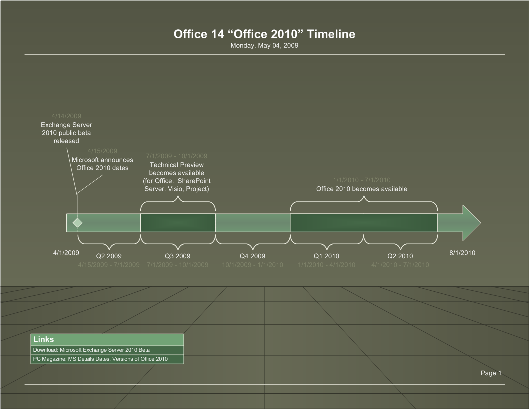 I messed around with Visio 2010’s timelines. I got an error of “Enter a date or December 30, 1899 or later”. Years of “0001” were translated to 2001. It seems the dates are business oriented, not historical. Of course before 1582, the calendar was whack-o anyway, so you could probably get by with approximations. Do you know of a way to get around what appears to be a bug in Visio timelines… I configure a milestone with a date, e.g. 15-Mar-12, looks fine on screen, but as soon as I hit ‘Save’ the date changes to 30-Dec-99 in the display, even though the configuration data still says 15-Mar-12. Right now, my only solution is to click on the date box and over-write, but I’d love to have a more permanent solution. 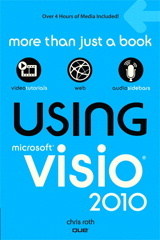 I am using visio 2010 and I have a need to sync a milestone on one page to another milestone on a different page. If they were on the same page, it works. But not across pages. Is there a way to do this? Have you ever seen or created a roadmaps diagram that for each object you put on the page if you move the object the dates with the object change to line up to the time line and like wise if you change the start and end dates of the object they move up or down the time line?